When it comes to IT, many organizations need some help. Whether looking for a long-term partner or a short-term contract, IT services organizations step in whenever and wherever needed. It is a big business. 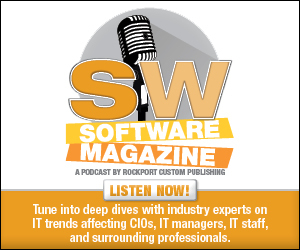 Of the $717.7 billion software and services revenue reported by the vendors in the 2014 Software 500, $90.8 billon are represented within the primary business sectors of outsourcing and IT consulting/staffing. This does not factor in more specialized outsourcing service providers or those offering these services secondary to products within the ranking. Below we provide a breakdown of top performers in these two primary segments and recognize players in more vertical IT outsourcing, consulting, and staffing services. Within the 2014 Software 500, 30 companies represent the outsourcing primary business sector. The top five performers—in ranking order— include CGI, Xerox, HCL, Syntel, and Visma, which we discuss below. CGI ranked 18 in the 2014 Software 500, reporting $9.9 billion in total revenue. The company offers a range of services including high-end business and IT consulting, systems integration services, application development and management, infrastructure services, business process services, and intellectual property (IP)-based solutions for financial services, health, government, communications, utilities, oil and gas, manufacturing, transportation, post and logistics, retail, and consumer services. Founded in 1976, CGI staffs 68,000 professionals to serve thousands of global clients from offices and delivery centers across the Americas, Europe, and Asia Pacific, leveraging a comprehensive portfolio of services as well as a range of proprietary solutions. In a recent customer win, CGI announced that it was selected by the city of Los Angeles, CA to replace a 13-year-old legacy supply management system and upgrade the city’s financial management system. The contract is reportedly valued at $19.6 million over four years. To achieve this, CGI’s Advantage enterprise resource planning (ERP) solution will be used to drive improvements to its procurement and financial management operations. The system is designed to offer a one-stop shopping experience for citywide power purchases, reduce the time and cost of operating and interfacing the city’s two existing enterprise systems, automate inventory control, provide compliance, and streamline vendor interactions. Ranking number 22 in the 2015 Software 500, Xerox reports $7.1 billion in software and services revenue, out of its total $24.4 billion in overall revenue. The company reports that more than 6,000 of its employees are dedicated to IT outsourcing, offering solutions for managed IT, end user computing, and IT. Additionally, the company provides related offerings such as cloud services and Xerox ITO in Europe. Within its global IT services portfolio, it offers IT consulting services, application services management, technology infrastructure and transformation services, and advanced technology. The company provides IT consulting services that focus on risk management, managed IT procurement, telecommunications expense management, and asset management. In terms of application services management, Xerox provides end-to-end application services including planning and solution design, development and implementation, hosting and management, maintenance, and support. For technology infrastructure and transformation services, the company utilizes a worldwide network of data centers, help desks, and management storage facilities to keep daily operations running. The company also offers remote infrastructure management options, allowing businesses to retain control of IT assets, but engage the company to manage it remotely. Xerox’s advanced technology solutions provide a number of pre-packaged technology offerings that clients can deploy within their in-house environments. The company partners with leading hardware, software, and telecommunications companies to create its solution portfolio, which includes options for business continuity, storage, desktop strategy, and unified communications. Ranking number 29 on the 2014 Software 500, the company reports $4.6 billion software and services revenue. It brings IT and engineering services expertise to solve complex business problems for its clients. Leveraging its extensive global offshore infrastructure and network of offices in 31 countries, HCL provide holistic, multi-service delivery industries such as financial services, manufacturing, consumer services, public services, and healthcare. The primary service lines at HCL include business services, custom application services, engineering and research and development services, enterprise transformation services, IT infrastructure management services, and gen 2.0 outsourcing. The company serves a long list of target industries, including aerospace and defense, automotive, financial services, consumer electronics, manufacturing, government, life sciences and healthcare, retail and consumer, telecommunication, energy and utilities, industrial manufacturing, and semiconductors. In a recent customer win, HCL announced that it signed an IT infrastructure transformation contract with the De Beers Group of Companies. By utilizing HCL’s Enterprise of the Future offering, it plans to deliver end-to-end IT infrastructure solutions including data center operations, multi-lingual service desk, LAN management, security services, service management, desk side support, and project services to transform the client’s infrastructure worldwide. HCL already manages the IT infrastructure of De Beers’ majority shareholder, Anglo American plc, and the new contract enables a tighter integration across the two companies with common technology platforms and IT service management. The engagement involves supporting De Beers’ global presence in Botswana, Namibia, South Africa, the U.K., and elsewhere around the world with HCL taking responsibility for eight data centers across five regions. The scope of the work includes some remote locations such as offshore diamond mining vessels along the Namibian coastline and Snap Lake mine in Canada. Syntel, Inc. ranked number 109 in the 2014 Software 500, reporting $824.8 million in revenue, a 13.9 percent growth from the previous year. It is a global provider of digital transformation, information technology, and knowledge process services to Global 2000 companies. The company provides technology services for application lifecycle, business intelligence (BI) and analytics, cloud, enterprise solutions, IT infrastructure management, mobility solutions, and testing. Syntel also introduced a new group in the Spring of last year, Digital One, which combines the company’s experience in industry domains and enterprise systems with next generation technology capabilities in mobility, social, data analytics, Internet of Things, and the cloud. It provides industry solutions for a range of verticals including banking and financial services, healthcare and life sciences, insurance, manufacturing, retail, logistics, and telecommunications. In the Summer of 2014 Syntel, Inc. announced that two new members were elected to its board of directors, including Nitin Rakesh, CEO/president, Syntel, Inc. and Dr. Vinod K. Sahney, university distinguished professor of industrial engineering and operations research at Northeastern University. Rakesh was promoted to CEO of Syntel in April 2014 after serving as president—Americas since 2012. He also served as CEO/managing director of Motilal Oswal Asset Management Company, Ltd. and led Syntel’s knowledge process outsourcing business from 2002 until 2008. The Visma Group is comprised of three divisions and is present in 12 countries with a pivot in Northern Europe. The divisions include software small- to mid-sized businesses, software government and large accounts, and business process outsourcing (BPO). The company ranked number 112 on the 2014 Software 500, reporting $796 million in software and services revenue. Software and services include accounting, payroll and human resource management, invoicing and collection, customer relationship and project management, procurement, and consulting and development for industries including retail IT, accounting practices, agencies and consultants, the public sector, startups, and enterprises. Last Summer, the company announced the acquisition of a large enterprise resource planning provider in Latvia, which expands its footprint into the Baltic region. At press time, the company was in the process of acquiring all shares of FMS Group, which provides ERP and BI software in Latvia, with a market share of more than 30 percent. Relevant to the services segment, IT consulting and staffing featured 33 companies. With the help of consulting and staffing, businesses are able to improve operations without necessarily adding on full-time employees to manage. Within IT consulting/staffing specifically, top contenders from the 2014 Software 500 include CSC, Atos, Synnex, Cognizant, and Invensys. CSC ranked number 11, reporting a software and services revenue of $14,993 million. The company provides IT solutions to help business, governments, and communities improve business through technology. Its offerings span the cloud, big data and analytics, cybersecurity, application services, consulting, software and IP, business process services and outsourcing, and infrastructure services. Atos S.A. ranks number 16 with a reported software and services revenue of $11,439 million. The digital services company provides consulting and systems integration services, managed services and BPO, cloud operations, big data and cyber security solutions, and transactional services to a global client base. The company recently announced its plans to acquire Xerox’s ITO business, which will nearly triple its size in the U.S. Through this acquisition, Atos becomes one of Xerox’s primary IT services providers. Synnex Corp. ranks number 17 with a software and services revenue of $10,845 million. The company provides business process services and optimizes supply chains to provide customer care solutions for its clients. The company offers a range of IT systems and products as well as systems design and integration services. Its Concentrix segment provides a portfolio of end-to-end outsourced services around process optimization, customer engagement strategy, and back-office automation to clients in select verticals. Cognizant ranks number 19 with a software and services revenue of $8,843 million. The company provides IT, consulting, and BPO outsourcing services. It recently completed the acquisition of TriZetto Corporation. TriZetto software reportedly manages the health benefits of nearly half of the insured population of the U.S., and supports about a quarter of all U.S. care providers. Invensys plc ranked number 43 with a software and services revenue of $3,305 million. The technology company works in partnership with a range of industrial and commercial customers to design and supply advanced technologies developed to optimize operational performance and profitability. Since the 2014 ranking, the company has become part of Schneider Electric. We also cover the top performers in outsourced product development and testing, made up of seven companies and cloud computing management and services, comprised of four companies. Those in the outsourced product development include—in ranking order—EPAM, Persistent Systems Ltd., Blue Star Infotech Ltd., Coherent Solutions, Trigent Software, TEAM International, and Talentica Software. Cloud computing management services providers include Axway, Synacor Inc., Infinite Group Inc., and All Digital. Also noteworthy are Accenture, Hewlett-Packard, and NTT Data, system integration service providers that all ranked in the top 10 in the 2014 Software 500, respectively.